【A】 When this card is placed on Stage from Hand or through 『CHANGE』, you may place the top card of your Clock into Waiting Room. 【A】 [② Place 1 card into Waiting Room from Hand] When this card attacks, if 「幻影の一弾」 is in the Climax Slot, you may pay the cost. If you did, deal 4 Damage to your opponent. When this damage is cancelled, until the end of your opponent's next turn, this card gets +3500 Power. 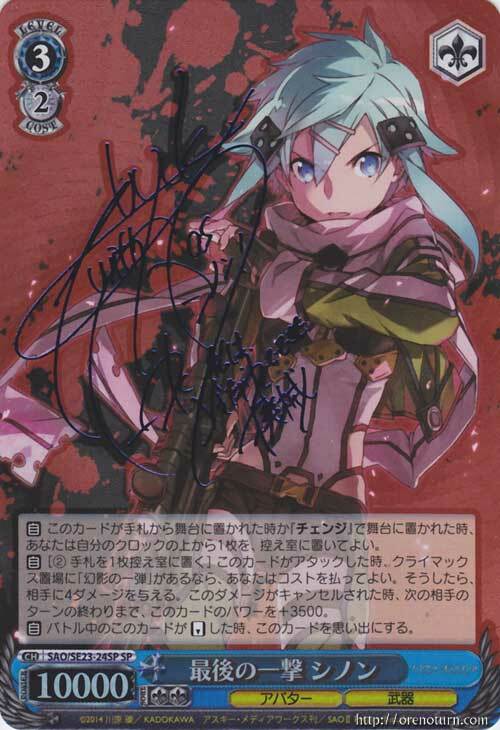 【A】 When this card becomes REVERSE during battle, place this card into Memory.